Pflugerville Pets Alive Dog Jog is a dog friendly 5K to raise funds for the pets of Pflugerville. Join us on November 12, 2016 at Pfluger Park for our 2nd Annual Dog Jog and 5K Run, benefiting Pflugerville Pets Alive! We welcome all Pflugerville Pets Alive supporters and members of the community to come out and cheer on our two and four-legged runners and walkers and visit our vendor fair within the park, located at 515 City Park Rd, Pflugerville, TX 78660. All events are family friendly and pet friendly. It was a very successful and enjoyable time for all last year. Let’s make this year even better. Come out to Pfluger Park on Railroad on November 12, 2016. The race starts promptly at 8 am so come early to find a parking spot, grab a little pre-race snack and find your spot at the starting line.We ask that all pets be up to date on vaccinations and will ask that your pet is NOT on a retractable leash, please bring a 6 foot or less leash for your pet. Please do not invite any aggressive dogs or those who do not play well with others. Bring your kids, strollers, pets, pets and people in costume, pick a theme for your group or come in serious running gear. We have runners and walkers from every level of expertise. Come leisurely walk the course, stroll with your kiddos, or run the 5K. We will have medals for categories within the race and walk and we will be giving out random prizes throughout the event for the best in all kinds of fun categories. We have lots of great prizes donated by local businesses. There will be a great pre-race warm-up, even more reason to arrive early! It is an event that is absolutely guaranteed to be enjoyed by everyone, young, old, fast, slow and serious. We had an abundance of smiles and laughter last year while we raised money for Pflugerville Pets Alive! All proceeds will benefit PPA directly as we are all volunteers and prizes and goods are all donated by our wonderful local businesses. We are grateful to all who are planning on attending and to all our generous donors. What is the Dog Jog and 5K Run? You can help save the lives of homeless animals by signing up to participate in the Dog Jog and 5K Run, or by making a donation in support of the event. The day’s activities consist of a competitive 5K Run, a leisurely 1-mile Dog Jog, Pet Costume Contest, Awards Ceremony, Silent Auction, Pet Friendly Vendors and other activities. All proceeds benefit the pets awaiting homes or medical management in the Pflugerville Pets Alive Organization. All activities take place in Pfluger Park -located at 515 City Park Rd, Pflugerville, TX 78660, on November 12, 2016. When and where is the Dog Jog and 5K Run? All events take place at Pfluger Park, located at 515 City Park Rd, Pflugerville, TX 78660, on Saturday, November 12th, 2015, rain or shine. Please park in the Gilliand Park parking lot located on RailRoad St. and allow yourself a few extra minutes to walk into the park. On-site registration for the event will be available in the park from 7:15 am to 7:45 am on the morning of the race. T-shirts and Swag Bags may not be available for late registrants dependent on availability. Online registration is highly encouraged as it conserves resources and allows more time and funds to be dedicated to our core mission. The registration fee for each entry participating in the Dog Jog is $25. The registration fee for the Dog Jog includes a t-shirt for the person walking the registered dog. If you wish to walk more than one dog in the event, you must have a participant age 16 or older registered for every participating dog. T-shirts and swag bags are limited so early registration is highly recommended. The adult registration fee is $25 per runner. This registration option includes one t-shirt and race packet. The youth registration fee (ages 7-15) is $15 per runner. This registration option includes one t-shirt and race packet. Children under 6 are admitted free with an adult. There is an option to purchase additional T-shirts on line. Pre-registered 5K runners should arrive by 7:15 a.m. as there is a short walk to the race start line. This will give ample time to pick up your shirt, number and race packet and to enjoy the pre race snacks and warm up. The Dog Jog and 5K Run is a rain or shine event and there is no scheduled inclement weather date. 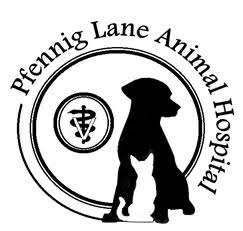 Because this is an important fundraiser that Pflugerville Pets Alive Organization depends on for your support to help with the care of animals in need, it is not our policy to issue refunds to participants who are unable to attend. The awards ceremony will be held as soon as 5K results are posted and fundraising totals for prizes have been tallied after the end of the Dog Jog. Awards are announced around noon and we encourage everyone to enjoy the Vendor Fair while we tally results. We need volunteers for packet pickup, clean up after the race, swag bag stuffers, race check in (early risers), marketing, sponsor generators, promoters, race guides (girl scouts/boy scouts), etc. Come join the team for this fun event! Stollers/baby joggers are allowed in the Dog Jog. If you are strolling your child we ask that you bring a friend or family member to walk your dog. Still have questions? Want to get in on the fun of planning? Email dogjog@pflugervillepetsalive.org! Do not forget to use WoofTrax.com during your training and the 5K! Walk for a Dog is a simple, year-round fundraising app! It promotes healthy interaction between dogs and their owners, and raises money every day to support the mission of Pflugerville Pets Alive. It also gives people a reason to think about Pflugerville Pets Alive every time they take their dogs for a walk.